Apple has announced iPhone 7 & iPhone 7 plus officially at its press event today. The iPhone 7 & iPhone 7 plus series comes with new updates to performance, camera & display technology. But wonderful, with the iPhone the big question will arise that's price of it. What will cost in Nepal? Apple iPhone 7 & iPhone 7 plus 's price in Nepal will be closely watched, given how expensive the 6s was when it launched. 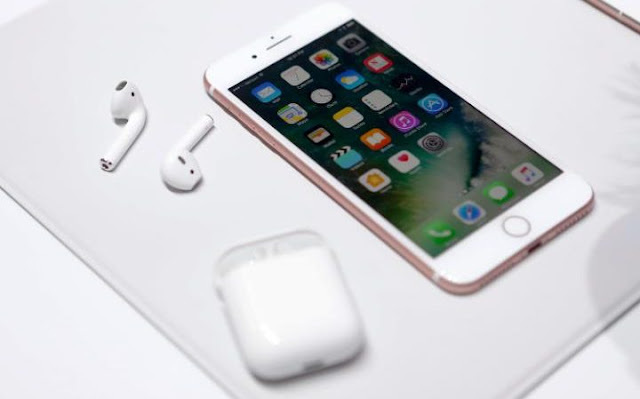 Apple iPhone 7 & iPhone 7 plus'a price in Nepal will be awaited. The iPhone 7 starts soon. The iPhone 7 & iPhone 7 plus price retain the same in US pricing from last year's iPhone 6s series. So the iPhone 7 starts at $ 649 so which is around Rs. 71,390 in Nepal. The iPhone 7 plus starts at $ 749 which is Rs. 82,390 in Nepal on conversion. Thus what will the New iPhone 7 & iPhone 7 plus pricing in Nepal be big question? All we Know that Apple has not confirmed Nepal pricing for iPhone 7 & iPhone 7 plus, but expect them to come with a surprising heavy price.